Graceann Quinn is thankful for the education that she and her three sons received at Montessori Pre-K at Notre Dame Elementary School in Utica. Quinn was a member of the school’s first class in 1974. It’s an experience that she won’t forget. “Thank God my parents passed it on to me, so that I could pass it on to the boys,” she said. “Montessori is a wonderful program. The way that things were laid out to learn life skills — it was a lovely way to learn.” Her sons have since gone on to elementary and high school. 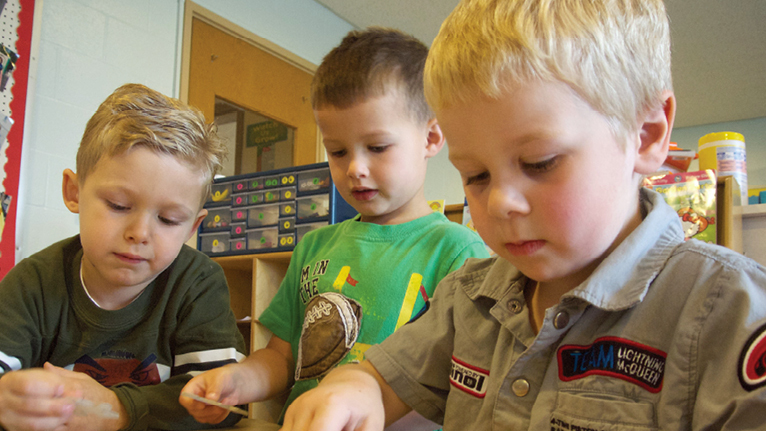 The Montessori Pre-K at Notre Dame consists of two classrooms of 3, 4 and 5 year olds. The children are taught through a program based on the principle that the senses should be educated first and then the intellect. The program follows the educational principles of Maria Montessori. Born in 1870, Montessori became the first female doctor in Italy. Although she was interested in childhood diseases, Montessori developed a teaching program that enabled children who were classified as unteachable to learn how to read and write. She believed that skills should be learned by providing exercises that prepare students to discover things for themselves. The classroom at Notre Dame is purposely designed to create an atmosphere where children are free to learn at their own pace. Assistant Principal and Director of Pre-K Carol Polito said there is a growing interest for the Montessori program in the Utica area. Enrollment has increased so much over the years that the school has opened a second classroom. In addition, Notre Dame’s kindergarten teachers have noticed that the children who have studied under the Montessori program have a different attitude and behavior when compared to the other students. They exhibit a quiet, focused attitude about learning. Polito explained that the children progress at their own pace while working one-on-one with the teacher and assistant. “The children have a choice to work at whatever they are able to do or are interested in,” she said. 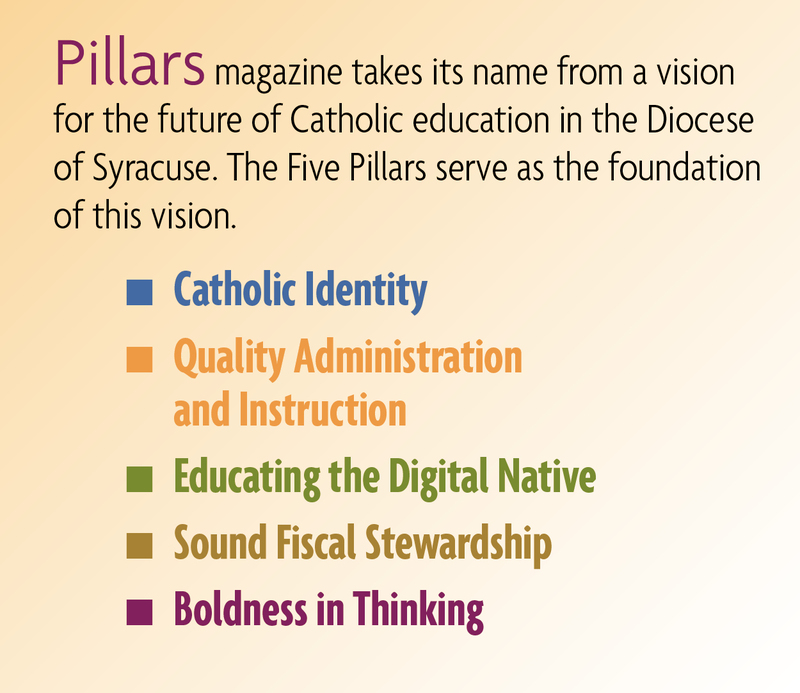 Religion, language arts, science, math and geography are part of the curriculum. The classrooms are organized into sections. The first is a practical life skills area where the children learn such things as how to pour, cut, zip, measure and sew. Other sections in the classroom include science, mathematics and reading areas. Enrollment has increased at the Pre-K from 30 students to 50. The school’s goal is to open a Montessori kindergarten in 2013-2014.